Mrs. Peters has been at Trinity since graduating from Concordia University Chicago with a BA in Elementary Education in May 2007. She was raised on a farm near Cissna Park, IL. She and her husband John along with their two children, Adelynn and Konnor, live out in the country outside of Atlanta. Originally from Minnesota, Mrs. Urban graduated from of Concordia University Wisconsin with a Bachelor's degree in elementary/early childhood education. She first taught kindergarten in Ormond Beach, Florida before moving to Illinois. Sara Urban has been a member of the TLS staff since 1996. She taught first grade at Trinity for a few years and then moved to second grade. In 2007, Mrs. Urban received her Master’s degree from Illinois State University in curriculum & instruction of reading. Sara is married to Ron and they are licensed foster parents. Their son, Brady, is in middle school. She loves watching her students grow academically and spiritually. Gretchen graduated from Concordia University in River Forest, Illinois, in 2002 with a degree in Elementary Education and received her Master's in Reading from Illinois State University in 2007. Mrs. Buhrke completed coursework at the University of San Diego in 2016 to become a Certified Dyslexia Specialist in the Orton-Gillingham Approach. She is blessed to have a loving husband, Brad, and son, Marshall. Gretchen wants to thank God for the gift of first graders because they are a joy to teach. “Therefore do not worry about tomorrow for tomorrow will worry about itself, each day has enough trouble of its own.” God has a plan. Mrs. Brockett has been at Trinity since 1989 serving as a teacher for 2nd and 5th grade, before moving to 3rd grade. She was born in Chicago, Il, and later moved to Danville, Il. Mrs. Brockett graduated from Concordia Teachers College in River Forest, IL in 1981 with a degree in Elementary Education. 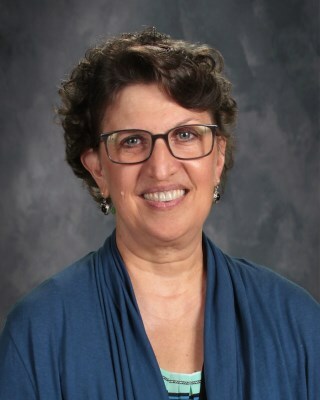 Before coming to Trinity, Mrs. Brockett served for 2 years as a 2nd grade teacher at Peace Lutheran in Antigo, Wi, 2 years as a 2nd grade teacher at Good Shepherd Lutheran in Pekin, IL, and 3 years as a 2nd grade teacher at Zion Lutheran in Belleville, IL. She and her husband Ron have 2 daughters, Amber and Cheyenne, son-in-law Hayden, and 2 grandchildren. Mrs. Bahn graduated from Concordia University Irvine, CA in 1988 with a degree in Elementary Education. She taught in California for six years before moving to Bloomington with her husband Chuck. She spent time raising three children before returning to full time teaching at Trinity Lutheran School and has been here since 2004. Favorite Bible Verse: Jeremiah 29:11 For I know the plans I have for you, declares the Lord, plans to prosper you and not to harm you, plans to give you hope and a future.